Listen: Lupe Fiasco f/ Ed Sheeran "Old School Love"
Lupe Fiasco has released a collaboration with Ed Sheeran called "Old School Love." Over a smooth, laidback instrumental, Lupe tells the tale of a wholesome love and namedrops several of hip-hop&apos;s older groups like the Juice Crew and the Fat Boys. The hook from Sheeran is easily radio-accessible, which should be a good sign for Lupe, as he has often struggled with the balance of making quality music while appealing to a commercial audience. 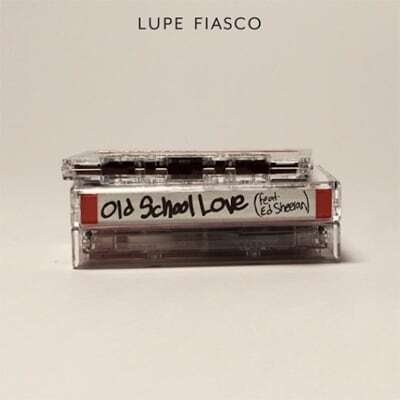 "Old School Love" is the first single off Lupe&apos;s upcoming album, Tetsuo & Youth. The album will be Lupe&apos;s fifth, and is slated for release sometime in 2014. RELATED: Listen: Lupe Fiasco "Pound of Flesh/Paris Tokyo 2"
RELATED: Listen: Lupe Fiasco "SLR 3 (Round Of Applause)"